As we sift through our inbox here at Thrasher's Wheat, it sometimes is hard to keep up with all of our correspondence. But then every once in awhile we come across a letter that just stops us in our tracks and forces us to think about what we're doing here at TW. First of all thanks for reading this. I don’t know if my efforts will be in vain but I have to give it a try. Several months ago, my girlfriend’s father, Peter, was given only a few months to live, on the day I bought my tickets to Neil Young’s concert in Brisbane, Australia on the 21st January 2009. My girlfriend and I had hoped that he would be able to come to the concert with us. In early September I spoke with him about our appreciation for Neil Young’s music. I told him how I love Rust Never Sleeps, he said how much he loved Harvest etc etc He was an enormous music fan. One of his favourite things was music trivia. Only a couple of weeks later, his health had descended quite rapidly, due to cancer. The night before he died, as he lay gravely ill, my girlfriend and I put Harvest on the CD player in the hospital room and listened to the album, start to finish. We sang along to the music and shared a special moment. As we left the hospital that night, I turned the car on and the next song to come on the stereo, randomly, was Harvest Moon. My girlfriend mentioned how much her father loved that song, especially for the fact that Linda Ronstadt sang the backing vocals (another favourite). We resolved to take a CD into the hospital the following day and play that album for him also. The next morning, we arrived quite early, my girlfriend had a strange feeling about what was going to happen that day. After about half an hour, we decided to put the CD on. We both sat there thinking the same thing, although we didn’t know it at the time. We were desperately hoping that my girlfriend’s mother would arrive in time to hear the fourth track on that album, Harvest Moon. We kinda didn’t want to pause it or anything, we sorta had a feeling it might work out. Anyway, about 30 seconds into Harvest Moon, she walked in with her other daughter, the whole family was there. We both felt pretty happy about that. My girlfriend’s aunt, who was there also but didn’t know about the song, said she could feel something special happening. A couple of hour later, he died. Harvest Moon was the last album he ever heard. Later in the week, after the funeral, at which, Harvest Moon was played. My girlfriend was ‘Googling’ the meaning of ‘Harvest Moon.’ She was unaware that it referred to the full moon in September and the equinox that happens twice a year, where the moon’s axis crosses the equator and that it refers to the official start of Spring in the Southern Hemisphere etc. This year, the Harvest Moon, or vernal equinox occurred at 1144am on the 22nd September. Her father took his last breath at 1130am on the 22nd September 2008. Basically, I would love to get this message to Neil Young and his band. It would mean a lot to my girlfriend, Danielle and her sister, Shannon, who I am going to the concert with, to hear that song performed live. I realise Neil must get a million song requests for every concert but I can only try can’t I? Thanks for reading this. Feel free to cut and paste this and forward it on to any Neil Young forum or fan site. Hopefully, Neil may end up seeing it and even better, he might end up playing the song in Brisbane on the 21st of January. If you do, Neil, I’d be eternally grateful. Steve and Danielle, so sorry about your loss. Hopefully, your wish comes true later this month in Brisbane. Thanks for sharing and enjoy the show. UPDATE: 1/21 - Learn what happened last night at Brisbane, Australia Neil Young Concert, 1/21/09. I think I felt tear on my cheek. Thanks for printing this Thrasher. Much appreciated! Hopefully the big man will bust it out at the show. That was beautiful and magical. It's amazing the peace one can find when the universe seems to line up just so. is fulfilled on the 21st, take care and have a great show. Beautiful, Steve. I'm sorry for your loss. Neil's dedicated songs to those "who couldn't be here tonight" before. I have a show from the Europe solo Greendale tour where he played one such dedication. And of course, "Winterlong" was performed for Danny way back on the first leg of the CDII tour during fall/winter 2007. 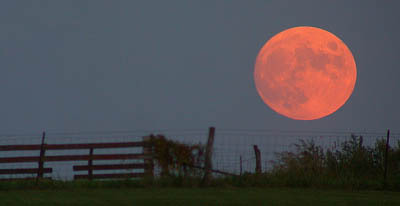 At the very least, I'm sure we'll all be humming a few bars of "Harvest Moon" on the 21st. Wouw, what an experiance and what a letter, Thanx for sharing. We're just one family. Very sorry to hear about your loss, music is so much more than just the sound we hear. I hope you get your wish and maybe get to meet Neil with someone looking down from above. Thanks for all of your messages. I've got my fingers crossed. My wife and I read of your sad loss and we hope that Neil responds to your wish to remember your girlfriend's father. Harvest Moon is our favourite album and track, enjoy the show and remember to smile through your tears. Neil's concerts in the UK were brilliant we hope he makes your concert special! There is something beautiful in the space around us that we cannot see, but it is there just as certainly as the air we breath or the ground on which we stand. Well, I am pretty emotional at the moment. NEIL PLAYED HARVEST MOON!!! Thanks everyone for their wishes! I think they worked! Neil blew me away tonight... what an awesome guy! Hi everyone. My name is Danielle Adams. This is quite incredible but earlier tonight, on 21 January 2009 at the Brisbane Entertainment Centre, I heard Neil Young perform "Harvest Moon" in memory of my father, Peter Adams, who passed away on 22 September 2008. As I type this, on 22 January 2009, it is four months to the day since we lost my Dad to cancer. I do not know how to express how incredibly grateful I am to Neil and his band for performing "Harvest Moon" tonight. It sincerely was one of the most emotional experiences of my life. For all of us, it was not just a song - it really was a moment in time and one that will stay with me and my family forever. Nor do I know how to express my sincere thanks to everyone who has been touched by my Dad's story - your kindness and support is truly overwhelming. We all absolutely adored Dad and we miss him every day. However, I know he was there tonight, singing along with Neil and dancing with us again on his Harvest Moon. Finally, I would like to thank my wonderful boyfriend, Steve, for sharing this story with Neil and his many fans. I just don't know what to say. I love you so much. Dad would be so proud of you. G'day QueenslandChopper, Danielle and Shannon. I see the great man played Harvest Moon in what looked like a fantastic set. Thrasher may well have played a part. Thanks to all who posted. I hope Neil made a special mention just for you. Dream this night away - The Moon is climbin' high - Feel the night. The world is still a beautiful place. Neil is such a champion. Danielle I'm glad you and Steve recieved your special moment. Let the memory live forever and may your father rest in peace. It was an awesome show tonight. I think we saw something special from Neil. Someone asked me before the concert which songs do I really want to hear? Of course the first was Harvest Moon, and few others... they all got played! The guy is incredible. The showmanship and feeling he puts into everything he does is phenomenal. I've heard a lot of people bagging his set lists of late... each to their own but I have thought about it quite a bit tonight... He plays the set lists he does because he knows they work. He takes you on a roller coaster and plays with you, all of it building up to a massive climax with that version of A Day in the Life... the crowd eats it up. The guy that just put a post on before about running to the front and getting manhandled by the security guards... We saw you and we were cheering for you all the way! Good to see!!! However, it has to be said that nearly everyone was standing during that song... I reckon your effort may have helped!!! We all has a great time tonight, it was fantastic to hear our song played. OK now thats wishful thinking! Wow. I have chills. Neil played the song! That is fantastic, I am so happy for you guys. Did Neil say anything before he played the song or just launch into it? I am so proud of Neil for playing the song ... I am not surprised, tho ... when you meet the man the first thing you feel is his kindness vibe, it is ... well, like a hurricane. I am so happy that this dream came true for you both. This is such a touching story, thank you for sharing with us both your sadness and joy. Is it any wonder we love the guy? LOL Steve/Queensland Chopper! I can't believe Neil announced it as an Internet request. That's awesome! Yay for you guys and right on Neil Young. I mean, if I didn't already love this guy, I would now. I feel like I say that every other day, when I find out something else AWESOME about him, jayzus h. christ almighty. When i read Steve's message a while back I didn't really think that it might get through or that there are other things that would get in the way of a touching request being granted. Proof, if any was needed, that we can reach out and touch somebody's heart, no mtter where we are. My dad loved Harvest Moon and passed away ,so your request & its fulfillment touched a chord.Well done all ! A man who writes so passionately about his own family, passions, and humanity, I'm would have been more surprised had he not played that request. Such a great and touching story. I'm so happy that this happening for you, you must have been stunned and then overjoyed and then sadened and then content. I would like to echo what my Uncle Paul has said - this has truly been a deeply moving experience, and one that my family will treasure forever. Thank you so much again. Indeed, this whole story has left me speechless. Thank you for sharing that. It never ceases to amaze me how beautifully life can be when we focus our energies in positive directions. I was there on Wednesday - an amazing night! We wondered anout the request and I'm so pleased to have found this site. Your story makes my memories of a great night all the more special.